Since its inception, Project Connect has been a successful and meaningful program for our dear participants and our dedicated teen volunteers. Therefore Project Connect has expanded to nursing homes, hospitals and homeless shelters. The positive impact of Project Connect is not only experienced by those our teens are bringing cheer to, but by our volunteers as well. Project Connect’s main program is to 'connect' special needs children with teen volunteers from across Palm Beach County. At each event, participants actively engage and gain from a variety of stimulating activities, while enjoying the warm company of their teen friend. Together special friendships are built that will last a lifetime. 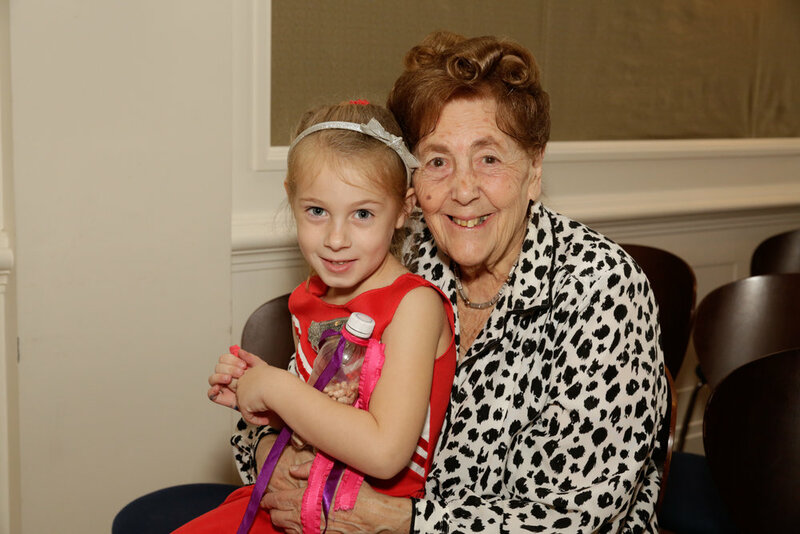 The children of Palm Beach Synagogue meet before holidays to share gifts and perform songs for the residents at Tradition of the Palm Beaches, an assisted living facility. Parents are invited to join their children and share in this special mitzvah. All ages welcome! Our teen volunteers join Rabbi Yosef to bring the joy of Shabbat to the resident seniors at Tradition of the Palm Beaches, an assisted living facility. What would be the best way to celebrate the gift and blessing of life? This year, our teen volunteers will celebrate their birthdays in the most unique and meaningful way. Teens invite their friends to a party to celebrate this special day in their lives with the families at Quantum House (a home for families whose children are receiving treatment in Palm Beach County for a serious medical condition), sick children in Saint Mary’s Children’s Hospital, the elderly at Morse Life or children at our local homeless shelter. This new Project Connect initiative will have a lasting effect on our teens and those they visit.